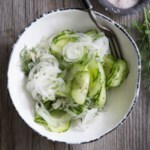 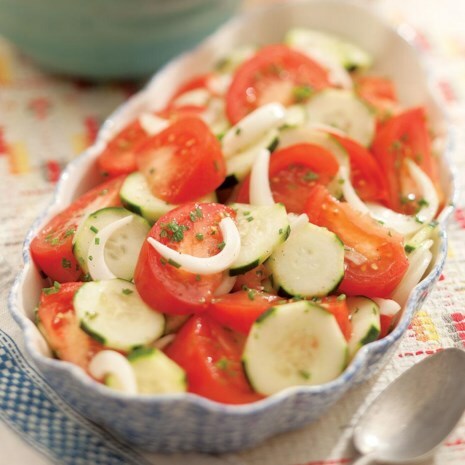 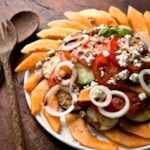 Fresh wedges of tomato, thinly sliced onion and sliced cucumber dressed simply with vinegar and oil makes the most simple salad possible--think of it as the Southern counterpart to the classic Italian tomato-and-mozzarella salad. 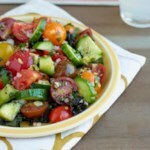 It is best enjoyed at the height of summer, when tomatoes and cucumbers are fresh from the garden. 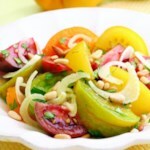 Download a Free Cookbook with Our Best Summer Recipes!